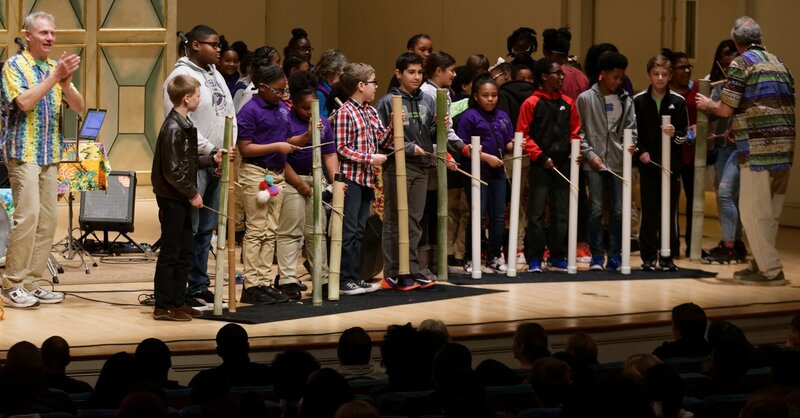 DAVE HOLLAND believes rhythm is a powerful metaphor for creating conscious connections, community awareness and individual creativity! Dave is the owner of Interactive Rhythm, an Atlanta based company that designs programs and resources for the professionals in the music making and business world. Dave is founder and primary performer and facilitator of all Beatin’ Path programs and drum circles. Dave spreads the message of community, teamwork, diversity, and environmental awareness through rhythm based events. 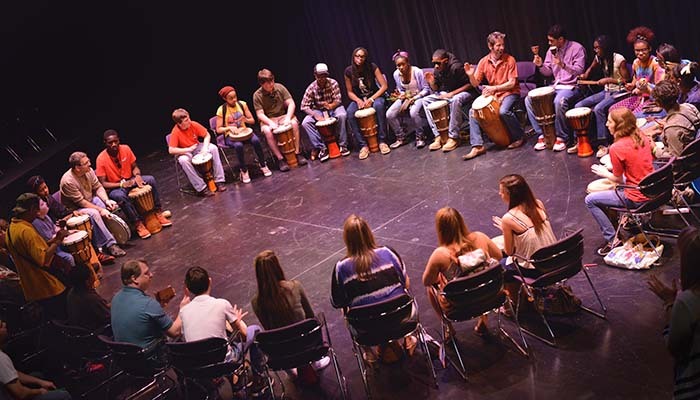 Dave leads regular drum circles at regional area schools, public housing communities, health fairs and festivals. Former clients include the Chattohoochee Valley Library’s reading inititive program, Southeast Regional Hospice, Muscogee County School Administrators conference, Georgia’s Early Childhood Educator’s Conference, and the Southeast Regional Girl Scout Leadership convention. On stage, Dave is found in a number of musical settings, including world beat, jazz, orchestral and theatrical productions. Dave is the leading member of Ritmo Blu, a world percussion trio that performs at regional schools and festivals. Dave has traveled to Cuba, Africa, and Brazil to pursue his continuing education of the world’s cultures and drumming traditions. Dave’s albums “Drummin’ Songs and Jam Alongs” and “Drum-A-Bye-Baby” are now available online at CDbaby.